GE Industrial Rating plug has voltage rating of 600-Volt AC and current rating of 400-Amps. 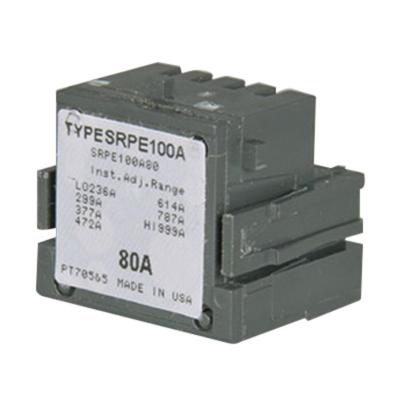 It is suitable for use with SEDA, SEHA, SELA and SEPA Spectra™ RMS circuit breakers. This 2-/3-Pole SG400-frame rating plug allows to establish or change the long time trip point of the circuit breaker. It has a trip range of 1210 - 4080-Amp and supports MicroVersaTrip® Plus as well as MicroVersaTrip® PM trip types. Rating plug is UL listed and CSA certified.